I’ve been pretty familiar with Cinema 4D for quite some time now, learning the basics 4-5 years ago. One reason why I haven’t been producing insanely cool renders out of Cinema 4D is because I don’t spend enough time experimenting with the application. A majority of the time, I just needed to extrude some logos, do some basic modeling work, perhaps some fracturing or dynamic work, but things were pretty rudimentary. This allowed me to get by, but failed to teach me anything new. Recently, I had the time to watch over some NAB presentations and the people knocking out sweet renders have only been using Cinema 4D for 5-6 years such as myself. The problem was, they were so much better than me. I was just shocked, realizing that I’ve gotten nowhere and have roughly the same number of years as these professionals. My goal for 2014 was to knock out some fresh new Cinema 4D tutorials. In addition to that, I have decided to add experimentation to my 2014 goals. Experimenting allows you to explore new territory and techniques you’ve never tried before. It allows you to learn all the tools and methods of doing things around the application. You can also learn from problems as well, and finding the solution or workaround is extremely satisfying. Although I’m not committed enough to experiment each day like Beeple does with his amazing renders, I will make it my goal to experiment at least 3 times a week. It’s one thing to experiment and trash the file a few weeks later. It’s another thing to upload your experiments online for others to critique. By choosing to upload your experiments, you’ll find yourself tweaking your results more than if you were just going to keep the file on your hard drive. Not only will you be perfecting your experiment, you’ll also receive advice and criticism from others online. This is important! Many skilled artists may give you tips or advice, or even provide a more practical solution to what you’re currently doing. This is a great way to learn and also log your skills and progress. In fact, this is how I learned After Effects – experimenting and publishing my experiments. It was foolish of me not to continue what I was doing with Cinema 4D. 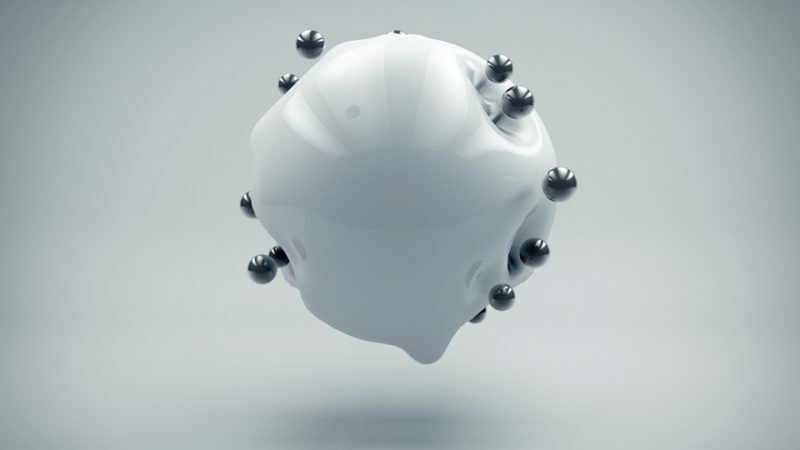 Here’s my latest experiment I did in Cinema 4D using Collision and Jiggle Deformers, and Metaball. Pretty basic, but it did give me some insight on the Jiggle deformer and how to use it in conjunction with the Collision deformer. Spheres were duplicated via the Cloner object, and manipulated using the Random effector. Total render time was surprisingly 6 hours, probably because I didn’t tweak the project settings. The scene was lit using Greyscalegorilla’s Light Kit Pro, with Ambient Occlusion turned on. Motion blur was added using ReelSmart Motion Blur in After Effects, which is where I color graded the experiment as well. The project was rendered at 1080p, with multipasses for Ambient Occlusion, Reflections, Shadows, and Specular for finer control. I hope this post inspired to you continue experimenting and publishing your results. It’s a fantastic way to learn, grow, and improve your skills. It’s unfortunate that I have wasted all this time when I could’ve been learning more, but now is a time for change. Expect a lot more published experiments and Cinema 4D tutorials to come! If you have any questions, comments, or feedback, feel free to post them below. Tutorial please? You haven’t done a cinema tutorial in a while! Cool stuff. I agree with experimentation being incredibly valuable. Motionworks has some cool experiment challenges for AE and C4D that I’ve been taking part in. Expanding on experimentation, back in the late 90’s/early 00’s there was something called “Photoshop Tennis” where people would “battle” each other and I feel like it helped push my Photoshop skills ahead of what just following tutorials would’ve done. I think something like that for After Effects would be pretty cool. I’m psyched to see a C4D tutorial!! Yeah, yeah, yeah! Do Cinema 4D tuts. Lots of them!!! So am I, thanks for the support! Haha, thanks for the support Jason. Feel free to share your experiments too!